Great Location, easy access to 175, this home is an estate and furniture is being sold. 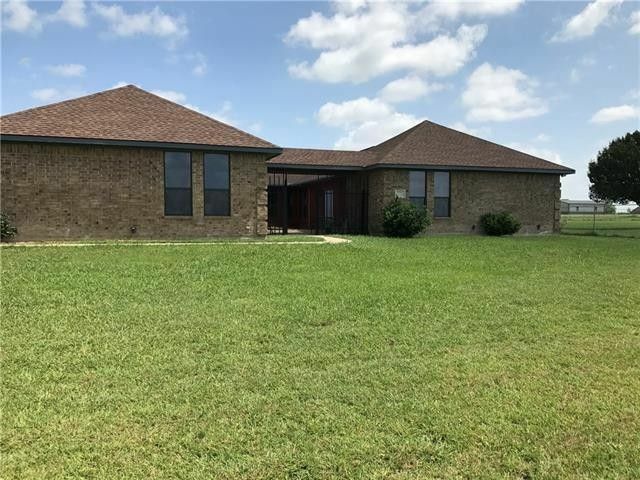 Home features, nice big living room open to kitchen with a fireplace, granite counter tops, cooktop, granite counters, refrigerator stays with home, stainless steel appliances. There is a fabulous large master suite, his and her sinks, jetted tub, sep shower, walkin closet. This home is a 2 bedroom, but could easily be 3rd, has a game room or 2nd living and office. Roof was replaced in 2015. All info in this listing to be verified. Directions: From Hwy 175 E, take exit 1390 turn right to Co Rd 4116 right to house on right.